JH50 – Blow By Blow! As 2016 loomed large on the horizon we began firming up our plans for a year-long celebration of what would have been Jeff Healey’s 50th birthday. It was important to us that we cover the various aspects of Jeff’s career and touched on a variety of projects. First up, we negotiated with our friends at JAZZFM91 in Toronto to have Jeff’s radio show, ‘My Kind Of Jazz’ rebroadcast all year long starting in January. Jeff’s deep love of traditional Jazz of the 20s and 30s was a very important part of who he was and it needed to be represented properly as a key part of this special year. 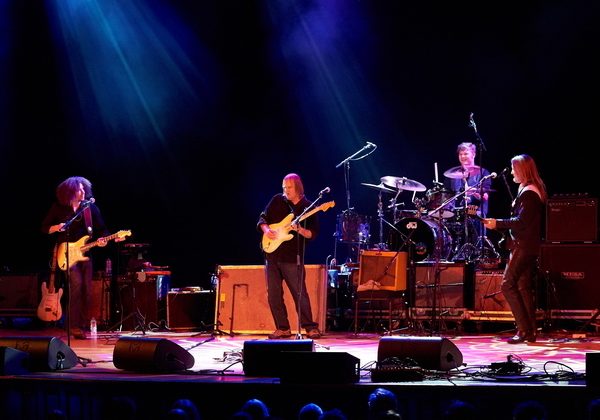 To that end, JAZZFM also broadcast a special one-off ‘Live-To-Air’ concert on Jeff’s actual birthday, March 25th, with his fantastic band, Jeff Healey’s Jazz Wizards. March 25th also saw the culmination of well over a year’s worth of planning and hard work with the release of ‘Heal My Soul‘, the critically acclaimed ‘lost’ Jeff Healey album. ‘Heal My Soul’ is the first archival studio release to be completely under the creative control of Jeff’s Estate and we’ve been thrilled by the great reception it’s received worldwide. 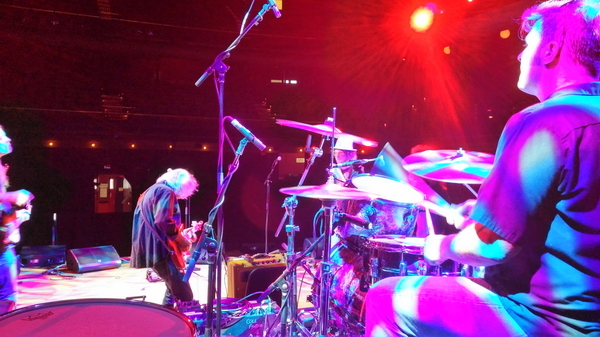 That brings us up to the next piece of the JH50 puzzle, ‘Jeff Healey: A 50th Celebration’, a special live show celebrating Jeff’s life and legacy, with proceeds going to World Eye Cancer Hope (Please see our About Page for info on the great work this organization does around the world…). 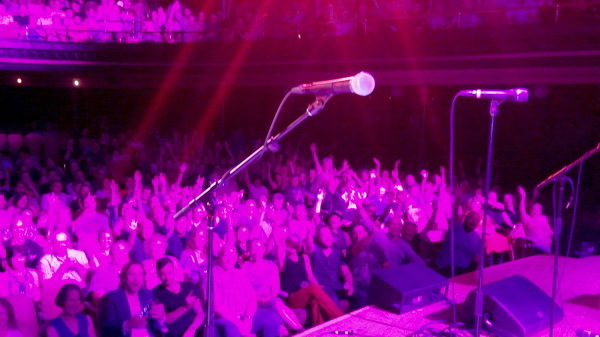 Taking over the stage two weeks ago at the ‘Grand Old Lady of Shuter Street’, Toronto’s legendary Massey Hall was a historic collection of Jeff’s friends, colleagues and peers. 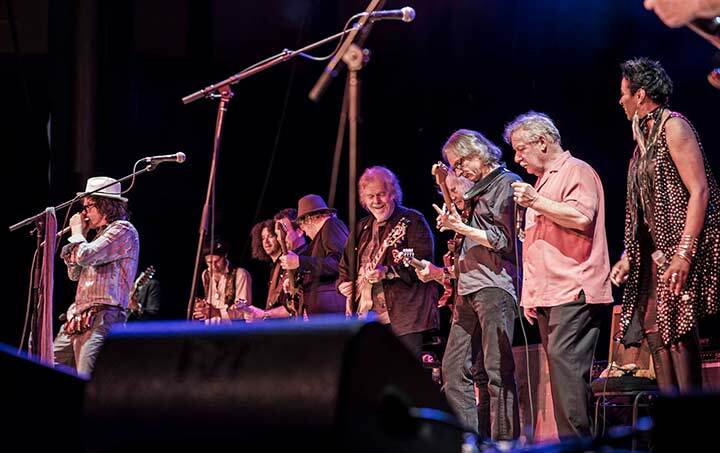 Focusing on the rock and blues side of Jeff’s career, this incredible group of talented musicians tore the roof off the place igniting the loudest, most enthusiastic audience I’ve *ever* had the pleasure of witnessing in 35 years of seeing shows at Massey. The first of the many, many standing ovations of the night occurred right after the very first song! 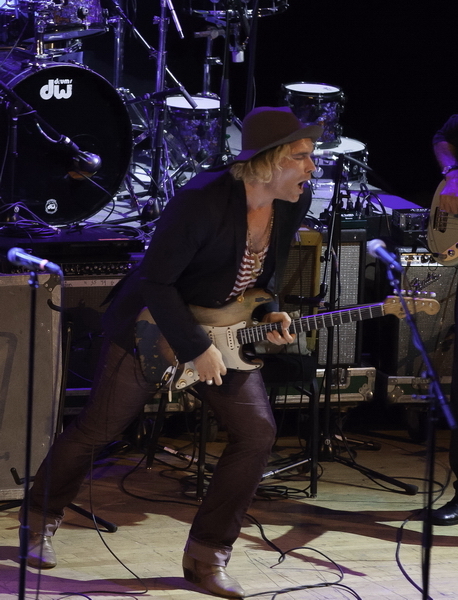 Lighting the first of many blasts that night was Philip Sayce. When Philip was just a teenager, he was already a force to be reckoned with. Recognizing in him a passion and hunger, Jeff asked him to join the JHB. With a promise to teach him how to play the big stages, then let him fly on his own, Philip spent the next several years touring around the world with the band, studying at “the university of Jeff”. Philip’s presence set the tone for the night, his incredible talent only overshadowed by his humility. The love for Jeff was rolling off of the stage throughout the show. 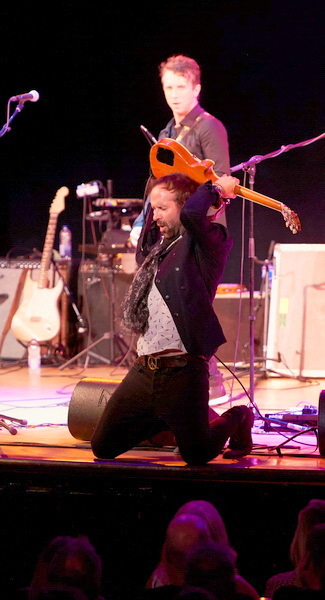 Philip opened his set solo with a solo track called ‘Steamroller’. A slow burning track that gave Sayce the opportunity to wear his influences on his sleeve. He was then joined by special guest JHB Alum Joe Rockman on bass and the always great Dean Glover on drums. 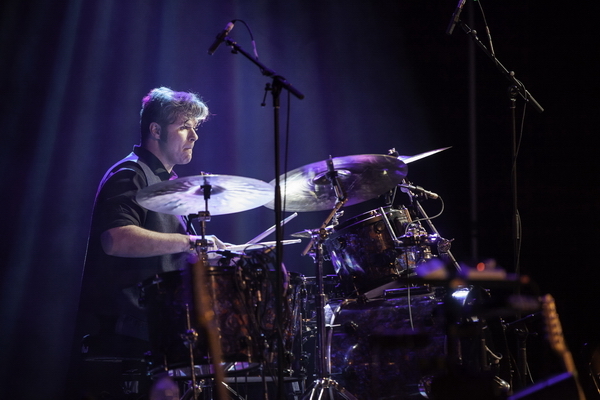 Dean was also the drummer on the majority of ‘Heal My Soul’ and played drums with the house band, backing every artist except the Trews. Joe has been battling an injury in his wrist for some time now, but he’s finally on the mend… This special day was the first time he’d been on stage in *5* years! He brought his ‘A’ game and rocked the House! Philip’s set featured a blistering version of the Jeff Healey classic ‘My Little Girl’ as well as covers Jeff was known for (such as ‘On The Road Again’ the Canned Heat classic featured in the opening credits of the film ‘Road House’). He finished up the set being joined on stage by other Jeff Healey Band Alumni who collectively covered different periods of Jeff’s career. There was Pat Rush aka “the other guitar player” 1995-2005 on and off (who was also in the house band most of the night), Rob Quail on guitar – a old friend of Jeff’s, he played in pre-JHB bands with Jeff and Jerome Godboo on harp – another member of the JH Celebration house band, he was actually also a member of the first ‘Healey’s House Band’ at Jeff’s old Toronto club. 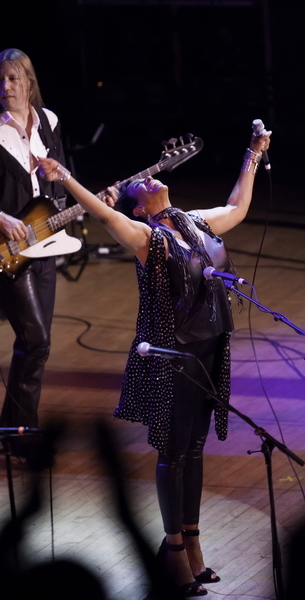 Next up was Toronto vocal belter, Juno Award Nominee Shakura S’Aida, backed by the full house band, now joined by Music Director Stan Miczek on Bass, Pat, Dean, Jerome, Chris Caddell on guitar and very special guest, Canadian blues legend, Donnie “Mr. Downchild” Walsh on harp! Shakura has performed to enthusiastic audiences in Canada and around the world for years. When this gifted artist contacted us, offering to help in any way she could, manning a table… anything, we knew there was no way we weren’t getting her on stage. Shakura launched into her short set burning the room up with an ovation inciting slow blues number, then exploding on a killer version of the Long John Baldry classic, a gender tweaked ‘Don’t Try To Lay No Boogie Woogie (On The Queen Of Rock & Soul)’, bringing the room to its collective feet with yet another round of thunderous applause! Transplanted East Coast rockers The Trews were up next. 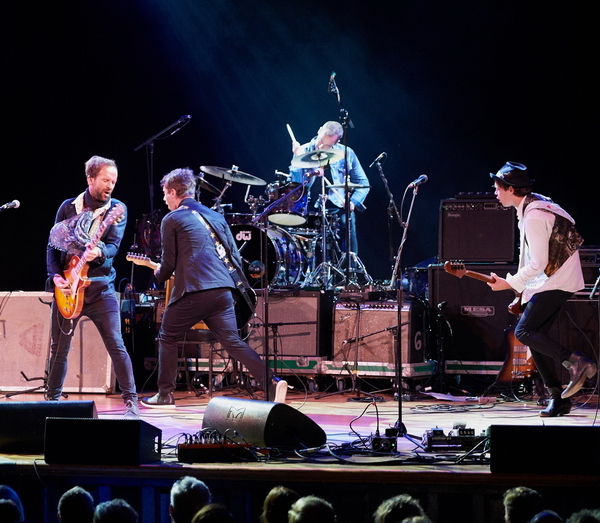 Nominated for multiple JUNO awards, a mittful of top ten hits in Canada, all around incredible performers and great guys… The Trews *ripped it up*! 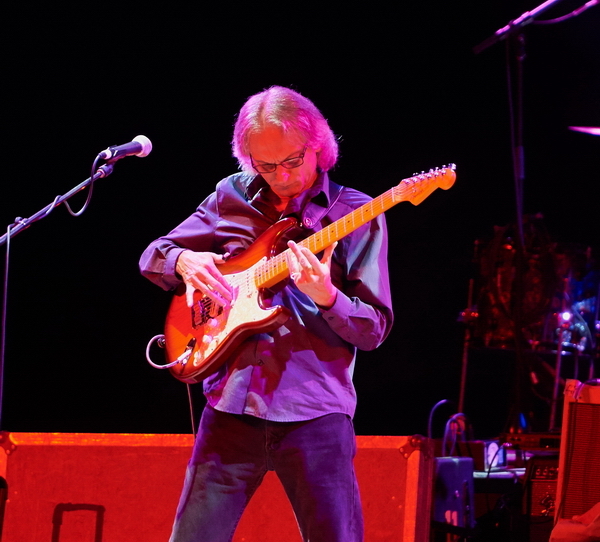 Next up, the “King of Slydeco” the incredible Sonny Landreth! 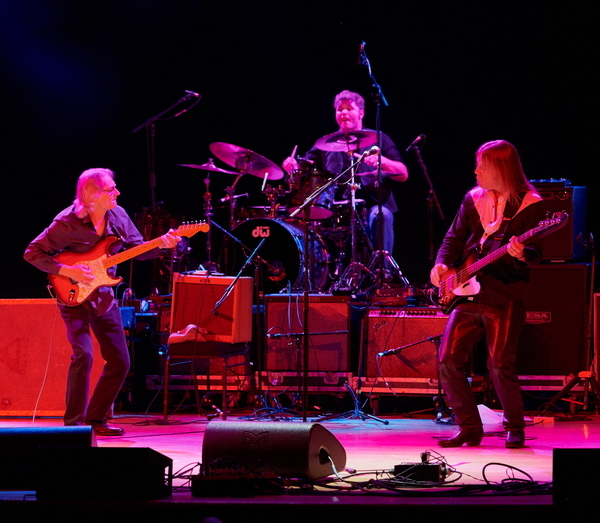 Backed by Stan and Dean, Sonny led Massey in a master class on the slide guitar, bringing the crowd to its feet and knocking them back down again throughout his 3 song set! Effortlessly gliding from ‘Walkin’ Blues’ to ‘It Hurts Me Too’ and closing off with a stellar rendition of ‘Milky Way Blues’, Sonny enthralled the crowd and left them begging for more. 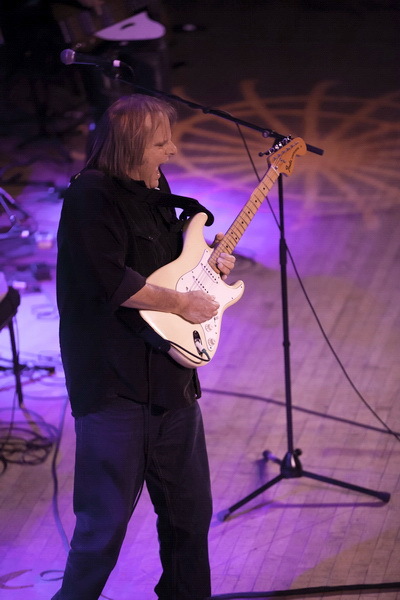 We were so pleased the incredible Walter Trout could come to help us celebrate Jeff’s life. Walter had fought his own major health battle a couple of years ago but you’d never know it from the fire and passion flying off the stage. 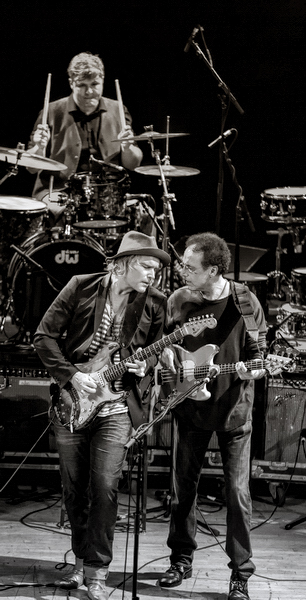 In yet another of the night’s moments of pure love beaming out from the stage, Walter dedicated his own ‘Say Goodbye to the Blues’ to Jeff. Then he launched into ‘Working Overtime’, a cut he recorded with Jeff and the JHBB for his fantastic ‘Full Circle‘ album. Again, the audience was left breathless as Walter closed his set with an absolutely blistering version of ‘Going Down’! He stormed through ‘You Ain’t Seen Nothin’ Yet’ and a Texas shuffle version of ‘Takin’ Care Of Business’ before introducing another one of the night’s many poignant moments. 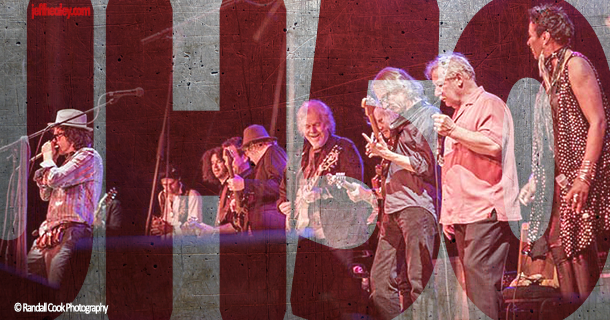 Randy did up a special mix of ‘…Devil’ just for the night that had with Jeff soloing for an extra minute at the end. Jeff’s guitar was brought out on a stand for this song as Randy explained this, then the band (featuring Joe and Pat) played the song. 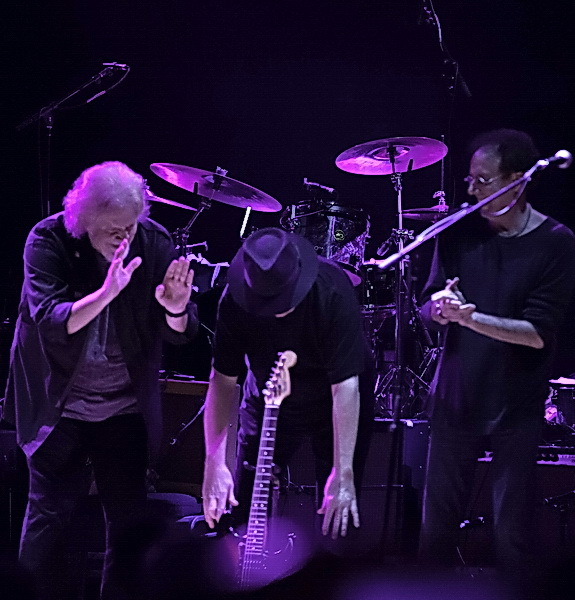 When the right time came up, everyone stopped playing and Jeff’s solo rang out as Randy, Joe and Pat gathered around Jeff’s guitar while the audience clapped along. It was an incredibly moving moment in an already amazing night. 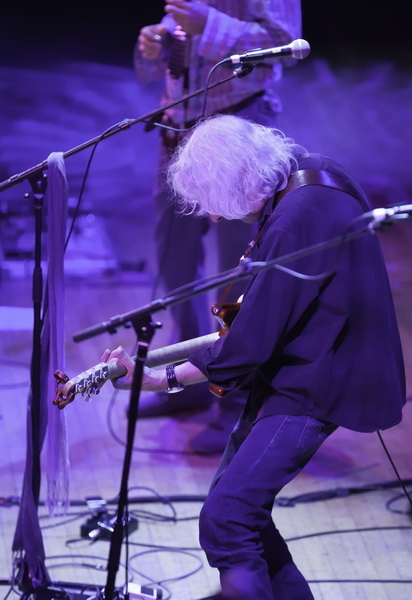 GRAMMY winning guitarist Albert Lee took the stage next, blazing through a phenomenal set, wowing the crowd with his inimitable country-picking virtuosity. Albert’s CV is staggering. 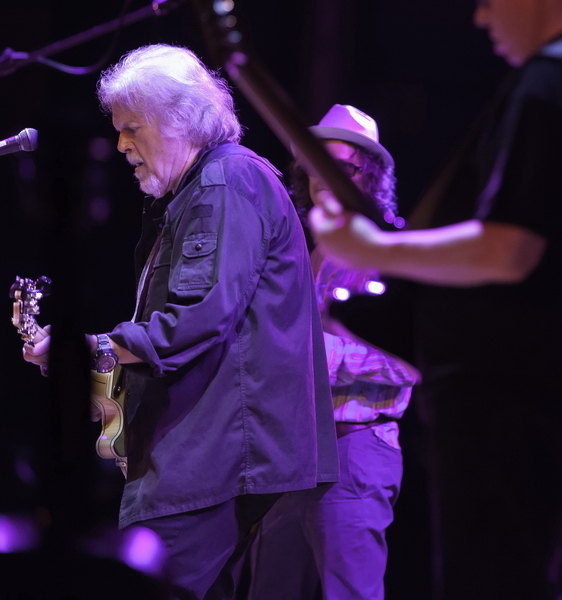 Stints with the likes of Joe Cocker, Emmylou Harris, Eric Clapton, the Everly Brothers, Bill Wyman and so many more have been the signposts of his brilliant, ongoing career. Ripping through killer versions of ‘I’m Ready’ and ‘Leave My Woman Alone’ with equal parts fire and grace, he capped off the set with an amazing version of his classic song, ‘Country Boy’! The night culminated it an incredible display of talent – everyone returning to the stage for an amazing rendition of the Jeff Healey anthem, ‘See The Light‘! eleven guitars, no waiting! With Jerome Godboo and Shakura S’Aida taking the vocal reins and a full compliment of percussion and background vocals, sixteen people in all took the stage in one final joyous tribute! The amount of love radiating both from the stage and audience was truly overwhelming and it was a historic and fitting end to a spectacular show. Can I buy a copy of this concert? Thank you for an unforgettable evening full of love and gratitude for Jeff, everything he gave and left for us. So sorry I don’t live over there,To see the concert would (for me) would be my Fav’ gig of the year.Thanks Roj,& Chrissy’ fr all that you do for Jeff Healey Loyalists.